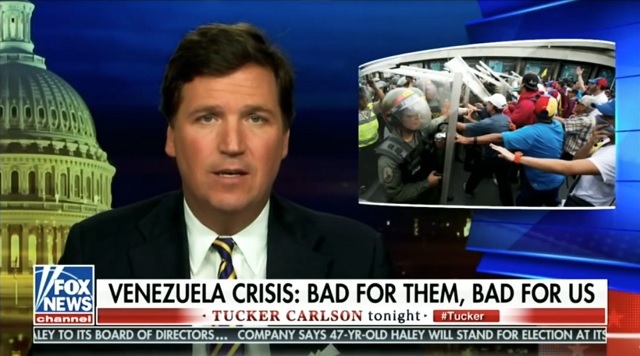 Fox News host Tucker Carlson ran two segments on his show this week questioning the wisdom of intervening in Venezuela. On Monday, Carlson drew attention to the macabre tweet from Marco Rubio showing Muammar Gaddafi covered in blood “shortly before being tortured, sodomized and killed” and noted how Libya collapses after the Obama administration’s intervention. On Tuesday night, Carlson debated former Obama campaign adviser David Tafuri on the merits of US-led regime change. “Well, I agree with you, ” Tafuri said. But Tafuri maintained that the answer was still regime change. “Regime change would probably lessen the amount of refugees,” Tafuri said. Carlson made it clear that he was not defending Maduro or the Venezuelan government, but simply questioning the degree to which the United States should be involved in the conflict. 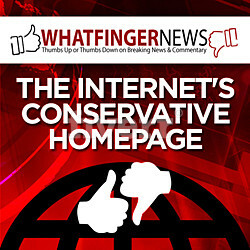 “Why should the United States bear the burden of socialism?” Carlson asked.